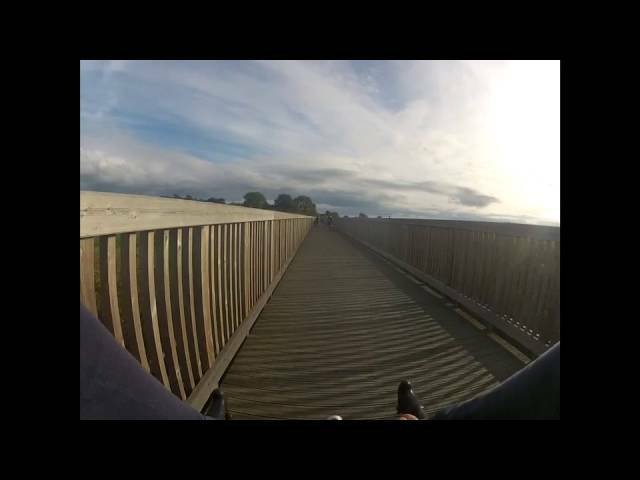 A newly constructed 26 mile, mainly flat cycle and walkway which runs around the entire Exe Estuary linking Exmouth, Exeter and Dawlish, with fantastic views along the River Exe. The different habitats on the Estuary support a diverse and plentiful range of flora and fauna including wintering waterfowl and waders. As a result, the Exe Estuary has been designated a Site of Special Scientific Interest (SSSI), a Special Protection Area (SPA), a Ramsar Site (internationally important area for birdlife) and is a candidate Special Area of Conservation. The primary conservation interests are the extensive inter-tidal habitats and the nationally and internationally important bird populations. These designations place responsibilities on Local Authorities and statutory bodies to ensure protection of the area’s wildlife and environment, and demand that the ‘precautionary principle’ is enshrined into planning and management of the Estuary. The Estuary has very strong historic and cultural interests many of which are linked to the coastal and marine environment and provides a valuable setting for activities such as walking, boating, fishing and bird watching. Download your free Exe Estuary Trail Map here or visit www.cycledevon.info for lots more information.